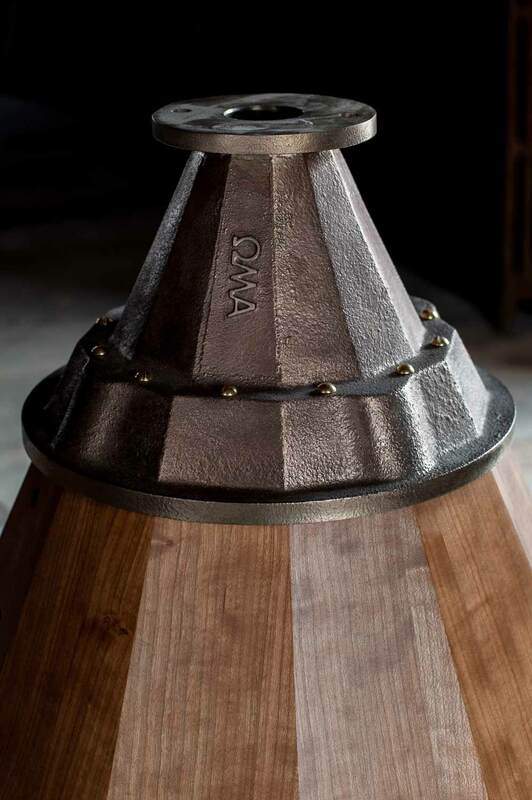 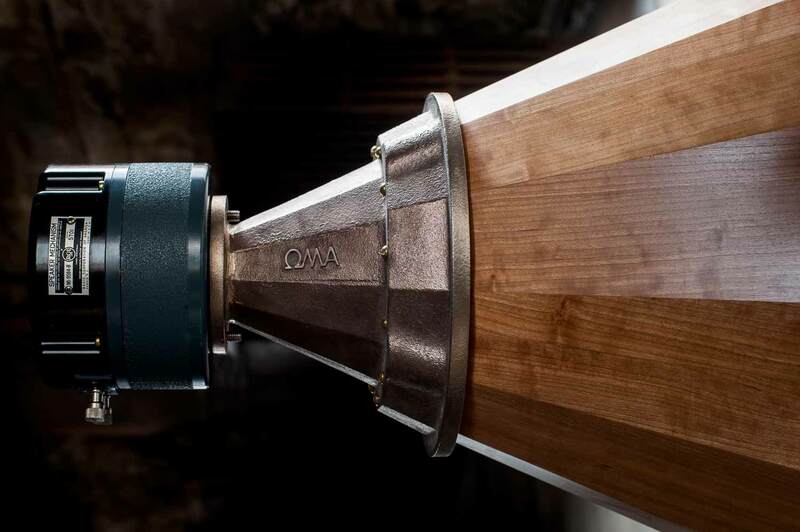 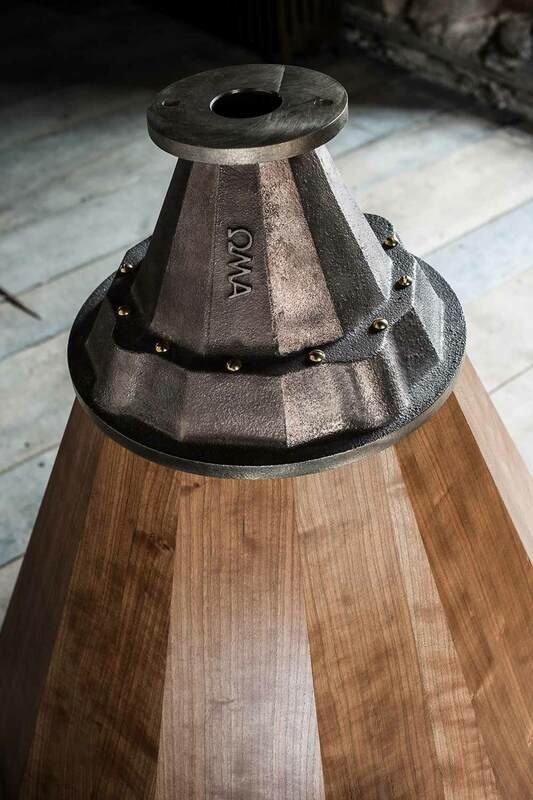 The OMA AC1 was our first loudspeaker, and is enjoying its 10th anniversary this year. 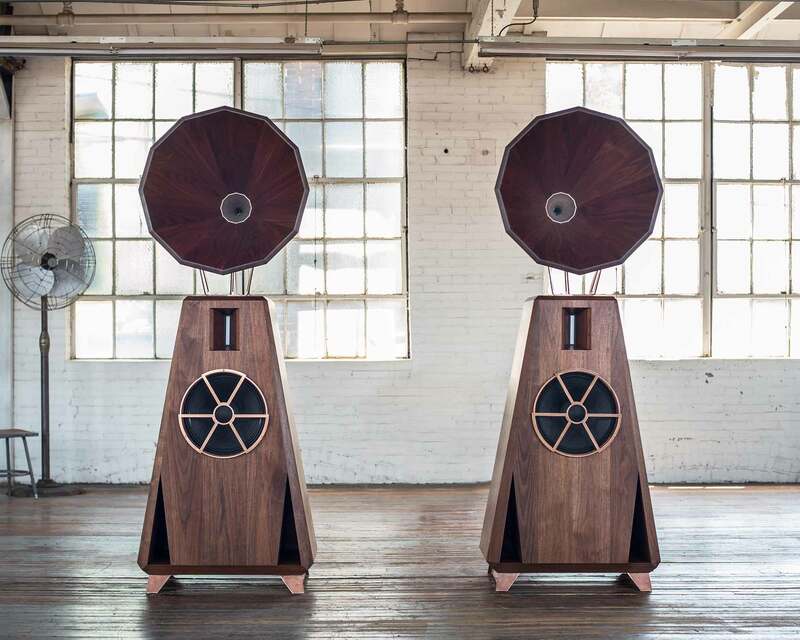 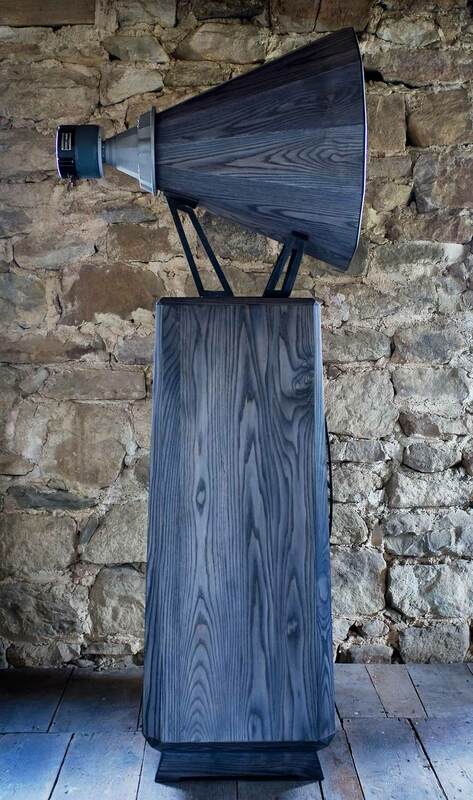 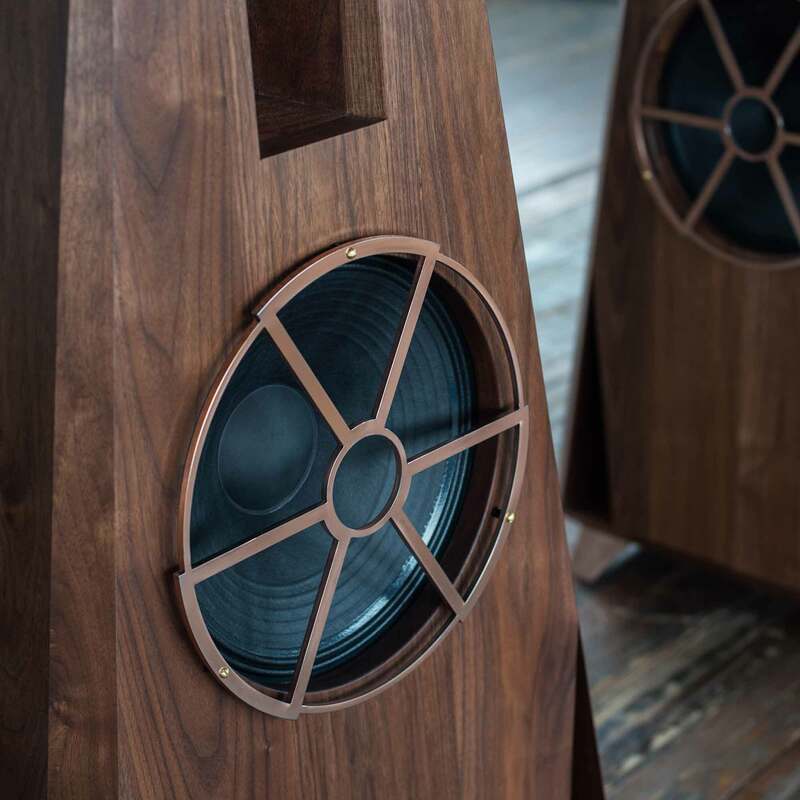 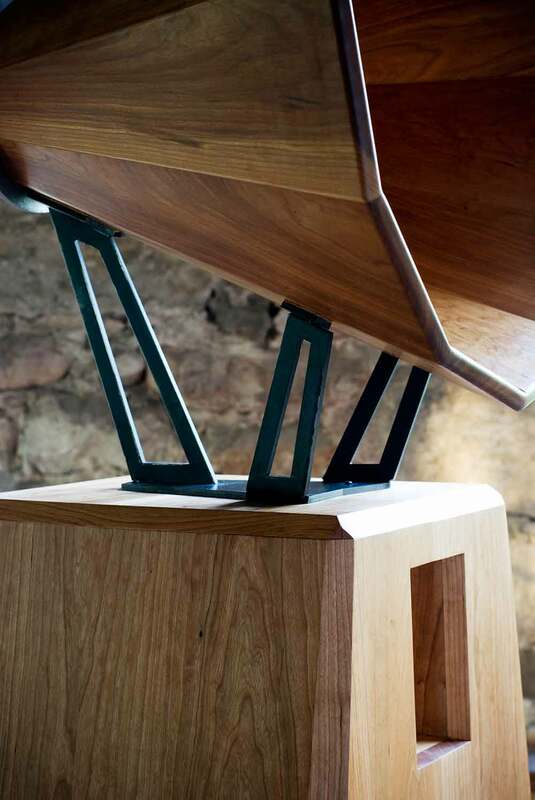 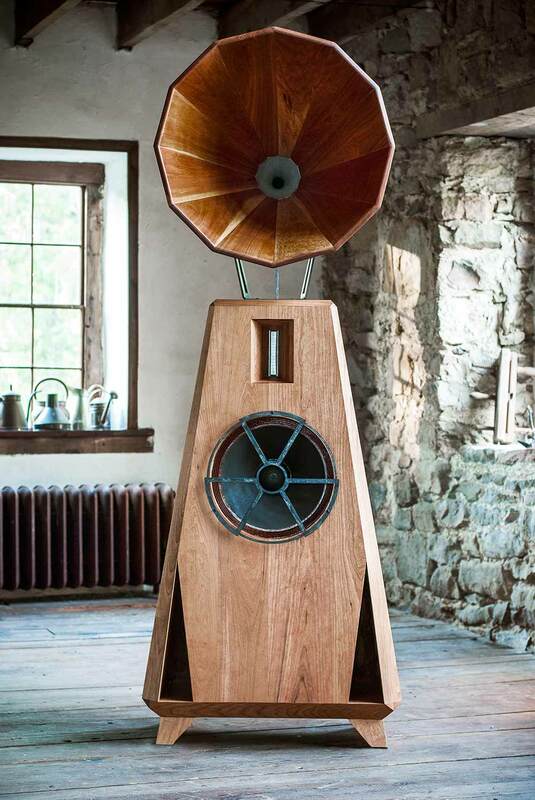 The AC1 is a three way floor standing loudspeaker constructed entirely out of solid Pennsylvania hardwood - 1" thick walnut, cherry, chestnut, tiger maple or ash using the same joinery construction found in the finest furniture. 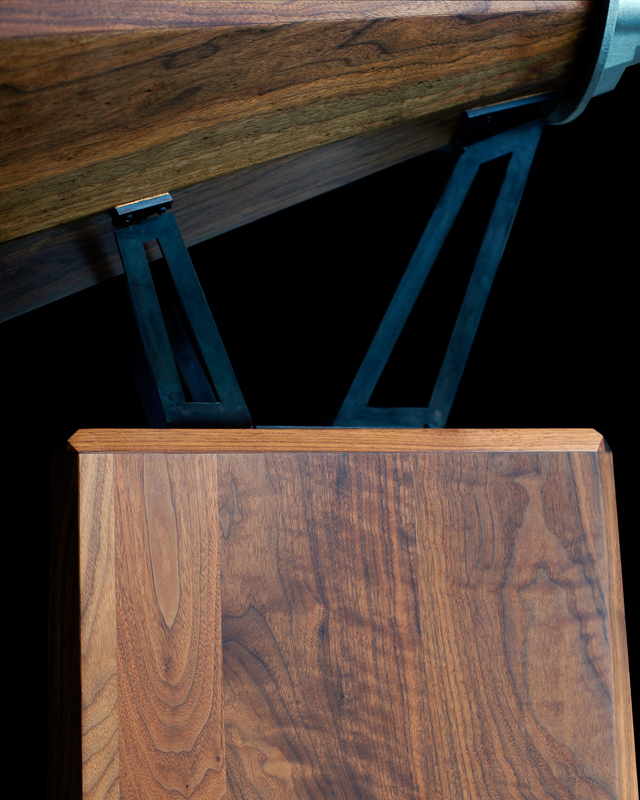 It is completely hand built and hand finished with oil and wax. 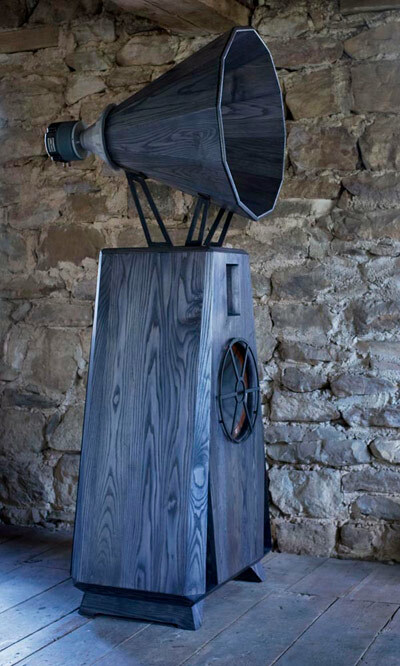 It uses an extremely efficient 15" woofer, front ported, for bass. 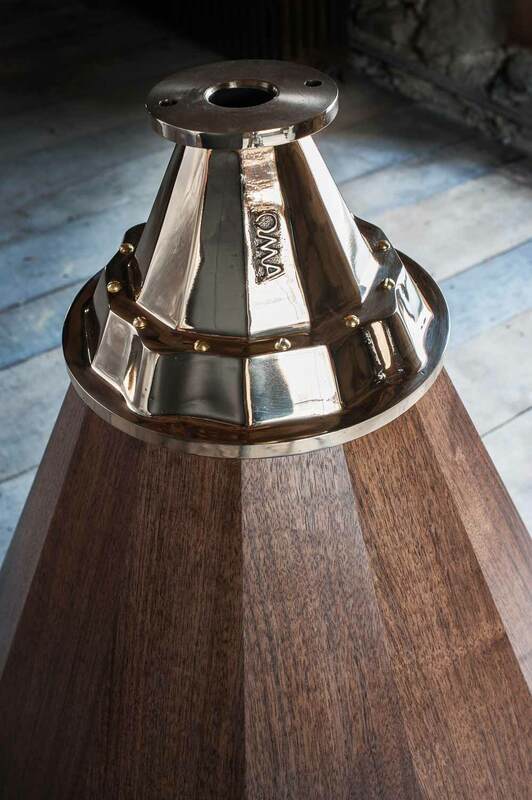 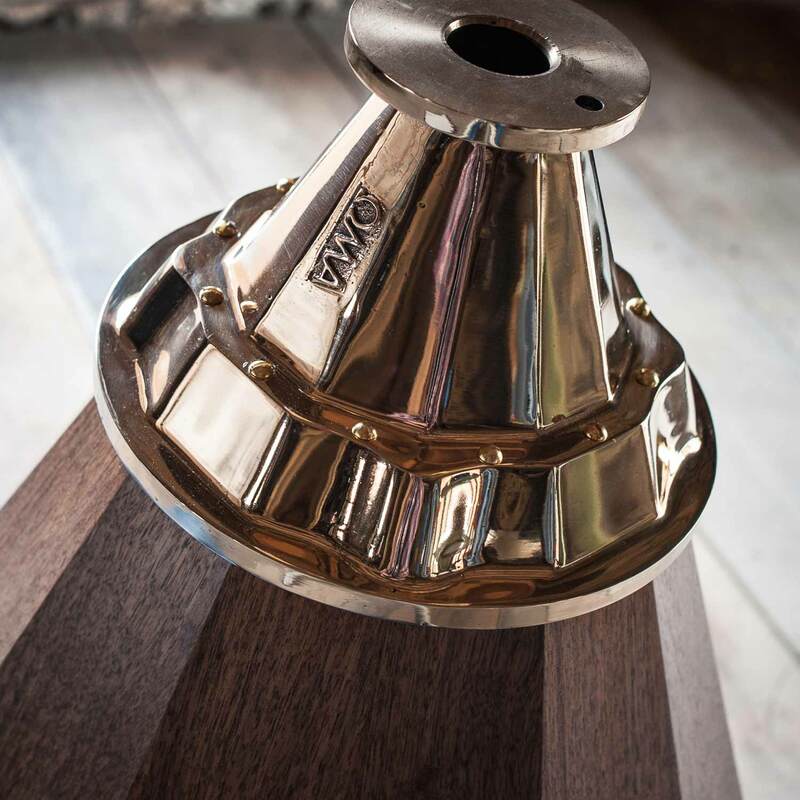 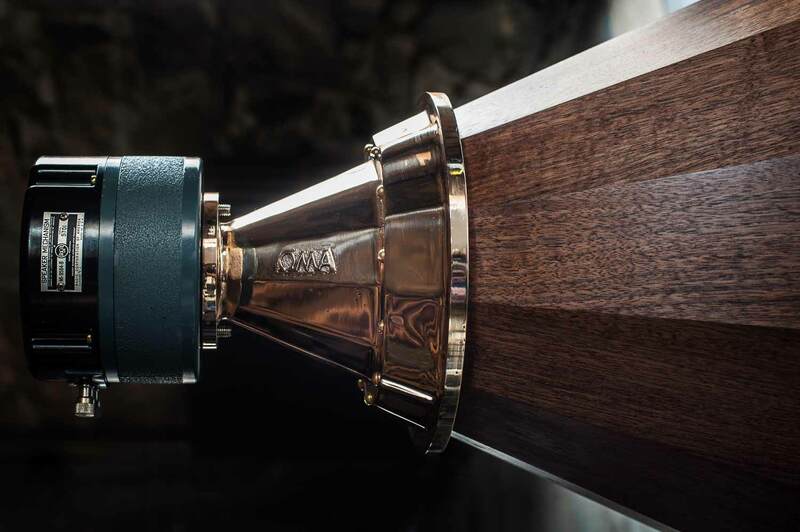 The midrange utilizes a very special vintage compression driver made by RCA for actual movie theaters, mounted to our conical 300hz horn, crafted from the same hardwoods as the bass enclosure. 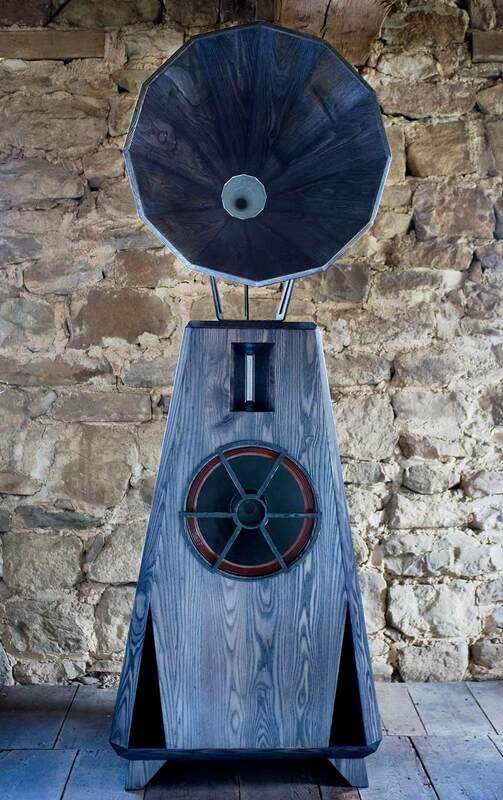 It uses the most high tech, best engineered ribbon tweeter ever made, also horn loaded. 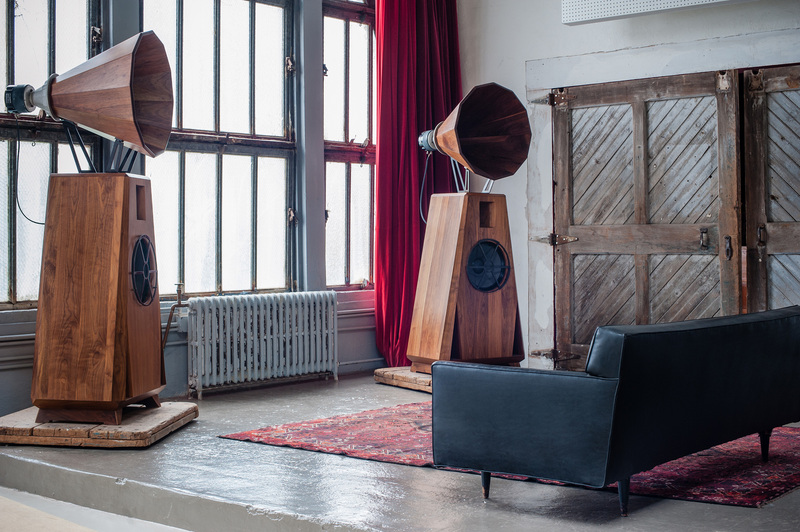 It is built to operate continuously without failure as the theater systems of the past. 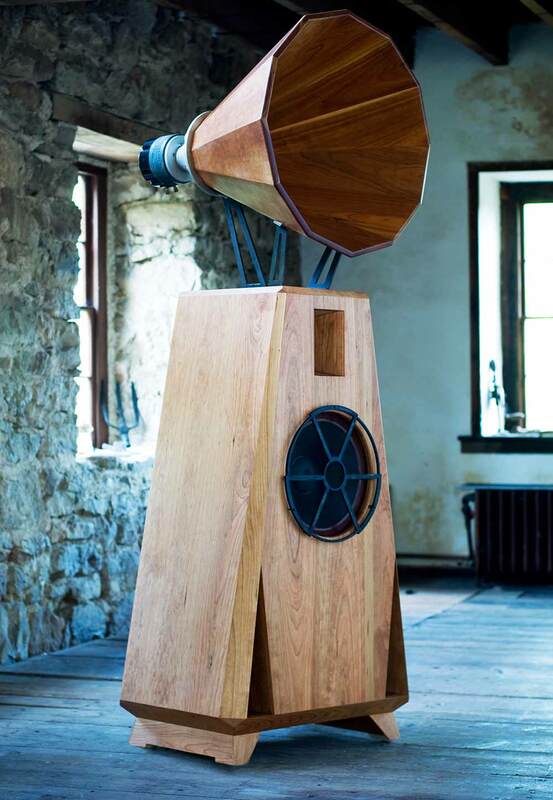 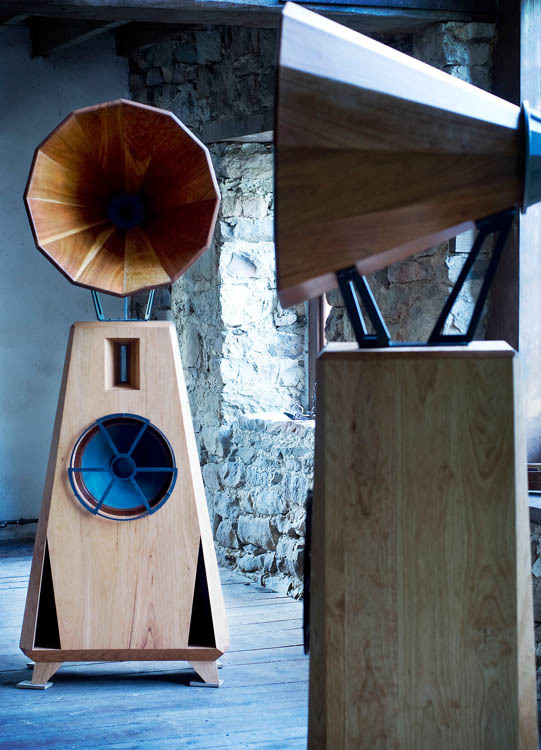 In short, no compromises were made on the design or construction of this loudspeaker, except for its size. 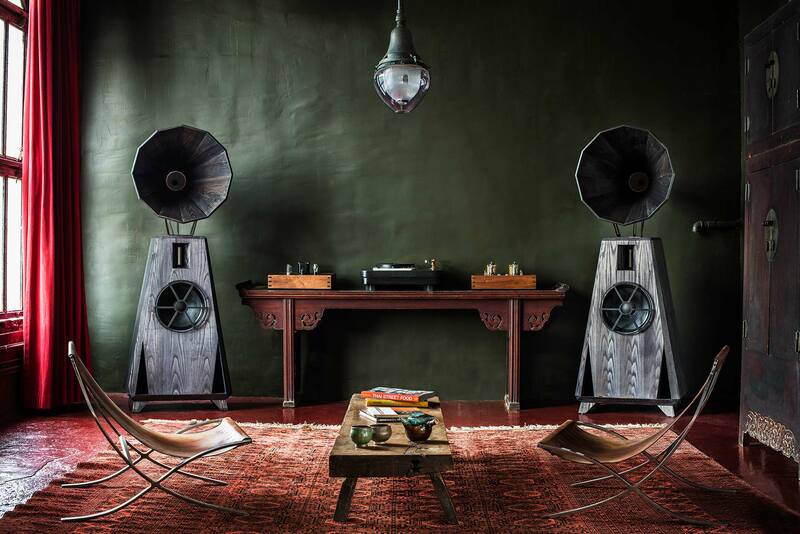 The AC1 will perform best in medium to large sized rooms, and is highly efficient, at 100db/1w/1m. 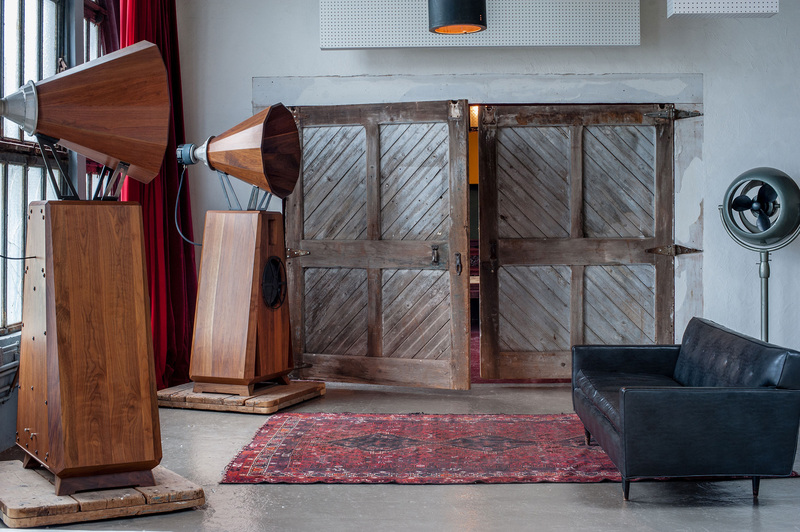 Even a low powered tube amplifier will find the AC1 an easy load to drive. 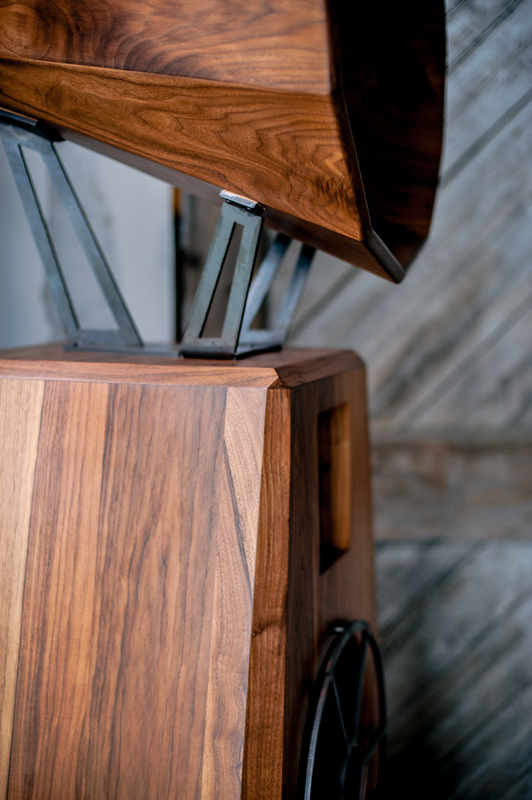 Standard finishes for stands and hardware: black wrinkle, white, copper plate and nickel plate. 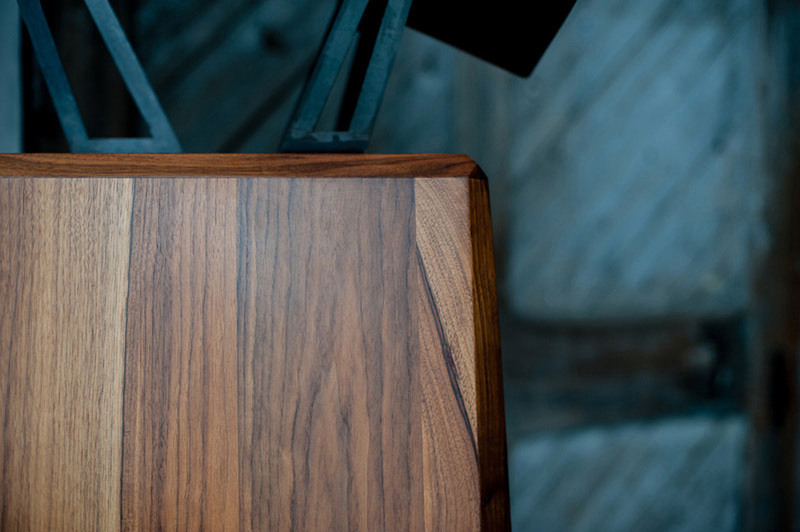 Custom finishes also available.